The Münze Österreich is Austria’s national mint, with a history spanning more than 800 years. Internationally respected for its expertise in the treatment of precious metals and coin production, it is one of the world’s great mints. In 1194, King Richard I of England, imprisoned in Vienna upon his return from the Crusades, paid 15 metric tons of silver to Duke Leopold IV for his freedom. Leopold minted silver coins with his loot, marking the beginning of the Austrian Mint (although it wasn’t mentioned in historical documents for over 200 years). 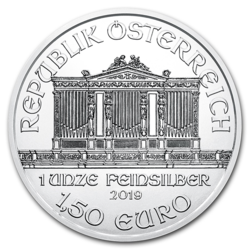 The Mint moved to several locations, notably the Winter Palace of Prince Eugène de Savoie (Himmelpfortgasse), before settling, in the 19th century, in Heumarkt at the center of Vienna, where coins are still minted today. When the Republic of Austria was formed in 1919, the Vienna Mint was designated as the country’s only mint. In 1989, the Mint became a public subsidiary of the Öesterreichische Nationalbank (Austria’s national bank) and its name was officially changed to Austrian Mint. The Vienna Phiharmonic coin, perennially valued by investors, was the highest seller in the world in 1992, 1995 and 1996. The Austrian Mint produces close to 450 million coins annually. It is renowned internationally for attention to detail and the craftsmanship of its employees. The Austrian Mint, with its long experience, uses the most advanced refining processes in the sector. Moreover, the Mint is state-owned, which guarantees product quality. This refiner offers gold bullion and silver bullion ranging from 1gram to 1kg. 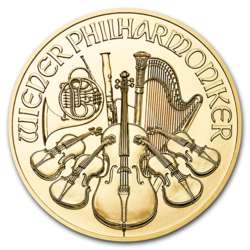 Other investment highlights include the Vienna Philharmonic coin, which comes in five sizes (from 1/10oz to 20oz), although the 1oz Philharmonic Gold coin remains the reference. The Mint belongs to the Austrian National Bank and is charged with the design and minting of euros circulating in Austria. Commemorative pieces may also be produced for special occasions. The company owns its own stores in Austria which sell and deliver its products. The Austrian Mint is on the official (and very selective) LBMA Good Delivery List for Gold, its list of certified refiners. The analyses and criteria of quality the bars must attain to obtain this certification make it a universally accepted standard of quality. The company regularly acquires new certifications, such as ISO 9001: 2000, recognizing the implementation of a quality management system.